The DWK L-Shaped Combination Doors are intended to be built into L-shaped walls and provide access to the unused space behind the L-shaped wall. Superb Thermo-Insulating parameters (U=1.1 W/m2K) along with high tightness keep heat-loss to a minimum. 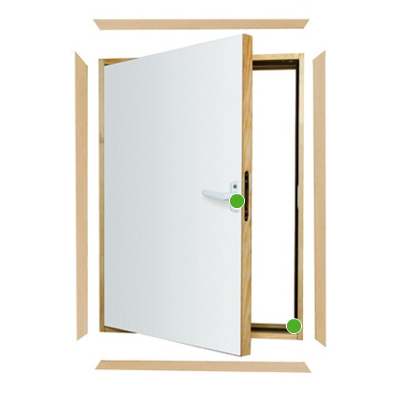 The L-shaped door may be installed in two versions of opening, (right or left), and are also equipped with 35mm thick lining as standard in natural colour. The 36mm thick insulated sash made as a wooden frame finished on both side with DWK white HDF panels.